Get the edge in target shooting. A proven hard shot, high-strength hull, AA wads, best-in-class primer and powder and made right here in the USA. 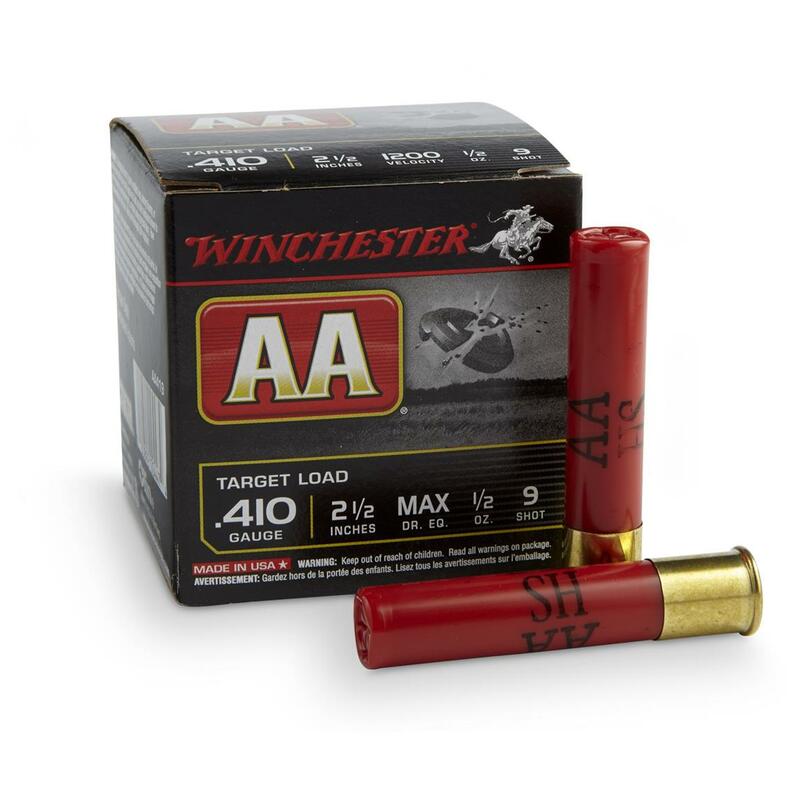 Don’t rack another Shell in your chamber before stocking up on Winchester® AA,® right here! Winchester, #9 AA Shotshells, .410 Gauge, 2 1/2 Max. Shell, 1/2 oz., 25 Rounds is rated 4.7 out of 5 by 38. Rated 2 out of 5 by Big bear from Questionable The problem I,m having is the brase keep coming off in the barrel of my shot gun, so I have to take the gun apart to get the shell out...so is it the shell or the gun? Rated 5 out of 5 by Pancho from Dove & Quail I've used AA288 for years to shoot hundred of Quail and Dove. Rated 5 out of 5 by PATHMTNGRN from THE BEST SHOTSHELLS AROUND! 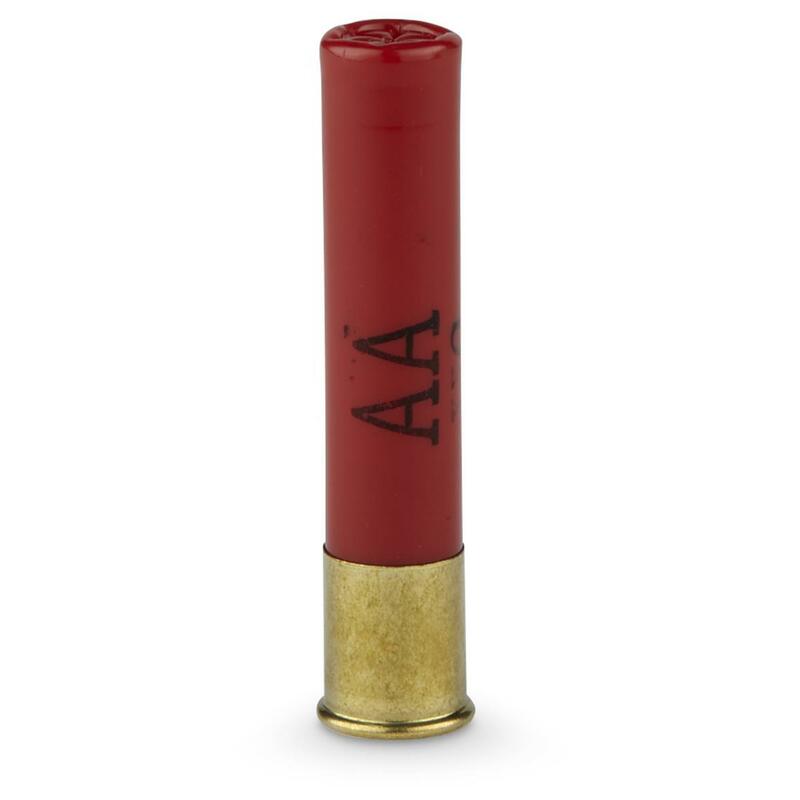 The Winchester AA's are simply the best target shotshells ever made. They are dependable, fast and if you reload, the hulls are fantastic. Rated 5 out of 5 by ZE1003 from Great Clays and Dove Load The speed, reliability, hard shot, reloadable hull, and 1 1/8 oz make this a great load when I shoot sporting clays and has also helped improve my time in the dove field. Rated 5 out of 5 by RLTW from Reliable The AA shotshell has always performed flawlessly for me while upland bird hunting. All gauges available and I have shot it for decades in over understand,side by sides, autos, and pumps. It lives up to the stellar reputation it carries with competition shooters and hunters alike. Good job Winchester! Rated 5 out of 5 by Anthony from Best load for sporting clays Winchester's light 8's are by far the best sporting clay loads I've shot. They bust targets all day and are light on recoil... well worth the money! Rated 5 out of 5 by Tobe from Best out there I'm a new shooter and AA has performed the best for me. If breaking clay is your goal use AA over other brands. Rated 5 out of 5 by MORiver from Perfect Dove round My son and I broke out the 28 Guage this fall for doves. We never shot anything but the AA28's! Shooting through Browning Citori's was not only fun but soft on the shoulder. We each commented several times about the effectiveness of this round. as an added bonus we can sell the hulls! Shot Weight: 1 1/2 oz. The most reliable, most reloadable shells you can shoot.